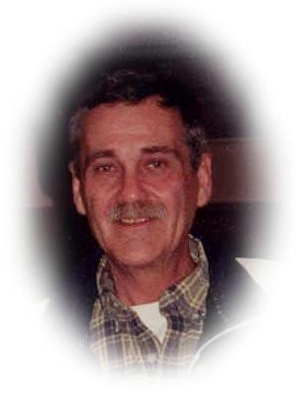 Obituary – Cockrum, Stanley K. « Perry High School Alumni Association, Inc.
Obituary – Cockrum, Stanley K.
Stanley K. Cockrum, 58, of Perry, Oklahoma was the son of Lorren T. and Lorene (Grother) Cockrum. He was born August 21, 1945 in Louisville, Kentucky and died Sunday, October 12, 2003 at Stillwater Medical Center in Stillwater, Oklahoma.Graveside services will be at 10:00 a.m. Wednesday, October 15, 2003 at Grace Hill Cemetery in Perry, Oklahoma. Rev. Buddy Hunt will officiate. Arrangements are under direction of Brown-Dugger Funeral Home of Perry. Memorial contributions may be made to the American Cancer Society in care of Brown-Dugger Funeral Home. 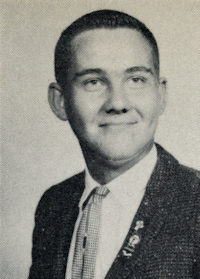 Stanley was a veteran who served with the United States Air Force. He and the former Jonece Hasenfratz were married April 2, 1983 at Stillwater, Oklahoma. He worked as an airline pilot and was a Mason and a Shriner. Stanley enjoyed hunting, fishing, camping, preserving old classic cars and Nascar racing. In addition to his wife, Jonece Joni Cockrum, survivors are his parents, Lorren and Lorene Cockrum, of Perry, Oklahoma; one daughter, Jackie Kirkes, and her husband, Kraig, of Cedar Park, Texas; one son, Rob Cockrum, and his wife, Karen, of Hanscom Air Force Base, Massachusetts; one step-son, Tommee Wolfe, and his wife, Melanie, of Edmond, Oklahoma; one sister, Karren Sue Lyons, of Perry, Oklahoma; one brother, Forrest Cockrum, of Miami, Oklahoma; six grandchildren, Toni Kirkes, Amanda Kirkes and Jessi Kirkes, all of Cedar Park, Texas; and Broque Cockrum, BriAnn K. Cockrum and Kayla Cockrum, all of Hanscom Air Force Base, Massachusetts; and three step-grandchildren, Addie Wolfe, Whitney and Colton.